Second Chances Girl - a Miami family and lifestyle blog! : Style Saturday: Style AND Comfort With Earth Footwear! 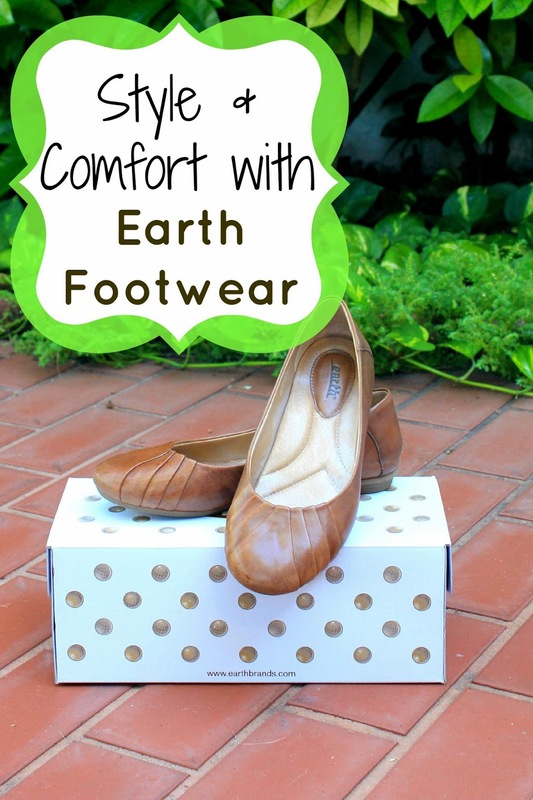 Style Saturday: Style AND Comfort With Earth Footwear! Discloure: I received the Bellweather flats through Mamavation and Earth Brands for review. All opinions are mine alone. I have always had a love/hat relationship with flats. I lvoe how they look in magazines and at the stores but I have always hated how they feel once I have bought them. There has been many a time where they will stay unworn until I donate them. The shoe just wouldn't be as comfortable as it was when I tried it on at the store. I just couldn't find a decent pair of flats. I was becoming super frustrated, so when I was offered the opportunity to try the Bellweather flat from Earth Footwear, I decided this would be the last draw. If I hated them, I would never wear flats again! 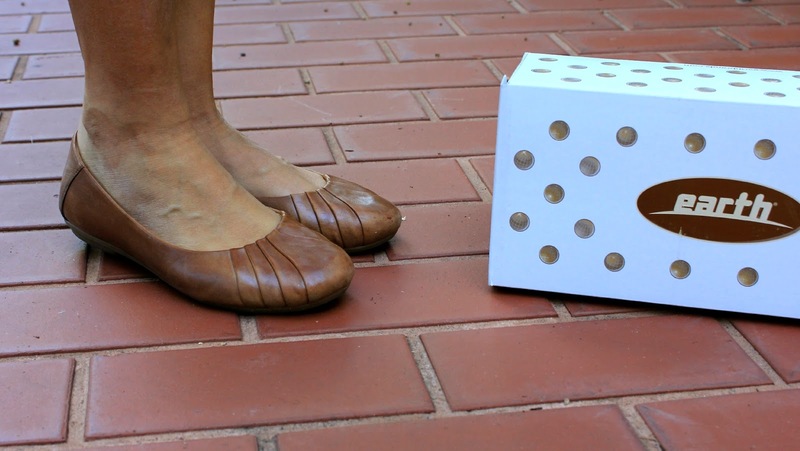 As soon as I opened the delivery box and saw a polka-dot shoebox inside, I let out a shriek. Who has such super cute boxes? Then I looked inside and saw cute flats in the most amazing, buttery, camel color ever! I immediately tried them on and fell in love. They were so comfortable and they actually fit right. Not too tight in the front, not to loose in the back. No hard sole and they felt like an extension of my foot. I, honestly, was in love! Why was this shoe so comfortable? Well the Bellweather flat has a foot bedcushion from heel to toe with reinforced arch support and a padded heal area to displace shock. For a person like me, who has twisted her ankle so many times she can no longer wear anything higher than a 3 inch heel, these flats are perfection. To prove their comfort, I took them on the ultimate test: a trip to IKEA. I walked all of the store and felt no pain. Let's just say, these babies in black and the booties are on my Christmas wish list!! They do look super comfy and love the color. Tan goes with everything!